This is a place for DataJournalism.com members to connect with one another, discuss interesting topics and help each other. Are you following any of the courses? Hi everyone! My name is Stella, and I work as a Community Coordinator at the EJC. I'm originally from Germany but work in the Netherlands in a small town called Maastricht now. Neither a data journalist nor a programmer, I'm fairly new to the data-world, but looking forward to exploring and getting new skills. I'm looking forward to connecting with new people and ideas in the forum and have the goal to complete (and understand) a video course for data visualisation! Hey there! My name is Andrea. 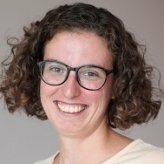 I’m a data intern from the EJC, currently based in Spain. I’m interested in boosting my skills in Data Journalism so I can use them to investigate about global development issues. I’m particularly interested in connecting (but not limited to) with other freelance journalists interested in international development. I have already followed some of the video courses, which I found very useful. Looking forward to exploring more content! My name is Mahesh Puttapaka, am from Mumbai in India. Over 10 years experience in Media. Hello everybody! My name is Madeleine. I'm an Australian based in Vienna, and I'm also a data intern here at EJC. My background is in law and journalism, so I've found the Long Reads super helpful for understanding a range of issues (ethical, occupational, legal, technical etc.) relating to data journalism. My name is Karan. I am from India, currently pursuing a career in journalism. I do not have any formal education in journalism; I am a former computer engineer who left the IT sector to become a journalist. My particular areas of interest are politics, global diplomacy and history. 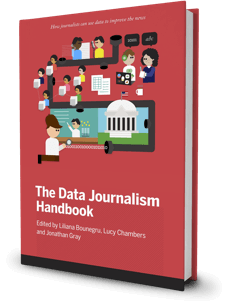 I got interested in Data journalism simply because it combines two of my favourite things: data and journalism. 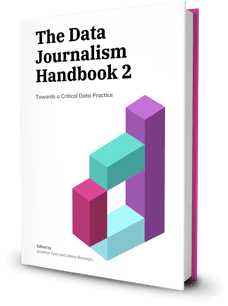 I tried my hands at data analytics in the past and now I am trying to regain the expertise and apply it in the field of journalism. I am quite enthusiastic to meet and discuss ideas with people having similar interests. Hello, my name is Candido, and I'm the Bloomberg "stringer" in Luanda, Angola. I've been a "normal" reporter for many years: I've been trying to learn Python off and off for some time and now I'm eager to try my hand at data journalism. I hate repetitive tasks and I believe Python/dataJournalism will relieve me from that boredom. Hi I'm Andrew and I'm a reporter at a small newspaper in the US. I have very little experience doing data journalism, but I'm eager to learn and use some of these tools to create better stories. Hi all, I hope to make new friends here! I am Miodrag Markovic and I am a freelance data journalist from Belgrade, Serbia. I have worked almost two decades as a journalist, reporter, investigative journalist and editor in news magazines, daily newspapers and digital media. In the last few years I became interested in interactive storytelling, data journalism, computational journalism, and programming. Now, these are my main areas of professional interest and I am seeking professional opportunities in these fields. I would like to make contacts with colleagues around the world and contribute to some projects.